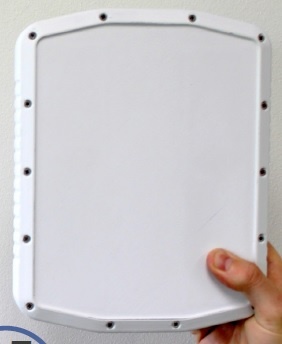 The Spotter C20 provides 360° coverage at a lower cost than any comparable radar on the market. SpotterRF designed the C20 in response to customer and integrator requests to reduce the difficulty of monitoring remote sites such as wells in the petroleum industry. With their 120° beamwidth, three C20Ds provide 360° coverage out to 120-meters at a much lower price than a single rotating radar. Without the moving parts of its competitors, the C20D is both more durable and more adaptable to varying terrains, cutting the cost of system maintenance and increasing effective coverage. SpotterRF empowers industrial security managers with high-end radar security systems featuring auto camera slew-to-cue capability that, until recently, has only been available to the military.